All right, it’s been a long time since I’ve given you any homework. Heck, it’s been a long time since I’ve given myself any homework. Joining the local astro clubs also made me a member of the Astronomical League, which has loads of cool observing projects available. If you complete an observing project, you get a pin and a certificate, and I want some bling. (Aside: if you’re interested in astronomy but not a member of a club, find one nearby and check it out. Most clubs will happily let you sit in for free for a meeting or two. The two I’m involved in both have annual family dues of $30, and I imagine most clubs’ dues are not wildly off from that. It’s a small price to pay for the companionship and education you’ll get from fellow astronomers. Observing lists are good. They give you tangible goals, and a way to measure your progress as you develop your skills. Perhaps most importantly, they give you something to point the scope at. The sky is chock-full of good stuff, but if you don’t know that it’s there or how to find it, eventually you are going to run out of things to do. If you find your observing getting stale, maybe it’s time to try something new. Now, the Astronomical League doesn’t pass out those pins and certificates for nothing. Some of the tasks are comparatively easy, but some are fairly involved (in terms of effort, not equipment), and several require making observations at particular times of the year. If you start now, you can’t possibly finish before next summer, not because you’ll be slammed for the next 9 months, but because one of the observations can’t be made any sooner. So if you’re in, you’re in for the long haul. Let’s break it down, in reverse. Go-to equipment means computerized telescopes that do the finding for you. I’m surprised they allow that for this club; I think it defeats the purpose of the exercise and I’m going to pretend that it doesn’t exist. Mounting the instrument shouldn’t be a problem. 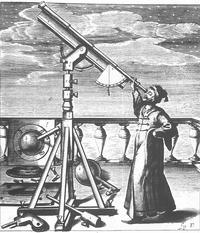 If you’re going to use a telescope, presumably it came with a mount. If you’re using binoculars, all you need is a cheap tripod and about three bucks worth of hardware; see instructions here. The first requirement is the toughest: all observations have to be done between 10x and 20x magnification. This is tough because some telescopes can’t go down that low with normal eyepieces. For example, my little Mak has a focal length of 1250mm. The longest eyepiece is can accept is probably a 40mm Plossl (which I don’t own), which would still yield a magnification higher than 30. What to do, what to do? One option is to use a scope with a fairly short focal length, which includes loads of small refractors (from the $20 Galileoscope to thousand-dollar APOs) and tubby little reflectors like the Firstscope and Funscope (both $50), Astroscan, and Starblast. Another option is to just use binoculars. If you don’t already have some, you can get a decent pair of 10x50s for about $25. What else will we need? Most of the tasks include the word “sketch”. Sketching at the eyepiece is a good way to build observing skills and it’s probably something we should all be doing more of anyway. But what to sketch on? Lots of folks like to use preprinted observing log sheets that have room to note the date, time, equipment, sky conditions, and observations of the target, plus a circle in which to draw the object of interest. You can find nice PDF versions online for free here and here. The GalileoScope Observing Guide also includes a log sheet, and you should check that out anyway, whether you’ve got a GScope or not. Naked eye supernova in the Milky Way. Good thing this one is optional; an acceptable star might pop tonight or not for centuries. Moon features; show that the moon has mountains and valleys. Any time that is not too close to full or new moon is fine, so probably 2/3 of the nights on any given month. Check out the moon phase thingy on the right to see what’s going on and plan accordingly. Follow Jupiter’s moons through one cycle of their orbits. That’s 17 days of observations. Jupiter is a little farther west every evening and we’ve only got a couple of months before it’s lost in the sun’s glare, so start this one ASAP. Orion’s head nebula. This isn’t a “nebula” in the sense we use it today, as a giant ball of gas and dust out in space, but rather a nebula as it was understood in Galileo’s time: a fuzzy patch of light in the sky. In this case, observing the fuzzy patch with binoculars or a telescope will reveal that it is composed of stars. Orion is up by about 10:00 and will be higher and better seen at sundown in a couple of months, so this one can be done anytime between now and, say, March or April. Praesepe nebula. Another naked eye fuzzy patch (only under dark skies these days, I’m afraid) that will resolve into a pretty star cluster with binos or a scope. Anytime in the spring. Pleiades nebula. Ditto. Up not long after dark right now, anytime in the next few months is fine. Saturn’s “ears”. The rings look like ears at the low magnifications available to Galileo (and to us, given the rules of the project). Anytime in the spring. Opposition will be in late March. Venus phases. These need to be tracked from close to inferior conjunction, when Venus is a very big crescent, to close to superior conjunction, when it is a small dot. Venus is currently a morning star and it’s about to get lost in the Sun’s glare. It will re-emerge east of the sun in 2010 and become an evening star, so the best time to start tracking this is in February or March. Sunspots. This one is tricky, both in terms of equipment and schedule. The instructions say to make the observations using a filter. Well, filters are expensive and Galileo didn’t use them, so I intend to do this as he did: by using a small telescope to project an image of the sun on a white card (don’t look right at the sun with unfiltered optics unless you’re ready to give up the burden of sight). The tricky scheduling part is that we’re in a deep solar minimum and there has only been one sunspot in the past year, so we’re at the mercy of Sol on this one. Comet. I know there are several floating around regularly within the reach of small telescopes and even binoculars, but I haven’t observed a comet since 17P Holmes a couple of years ago (which was awesome, BTW). Gonna rain check this one for a while. Neptune. Observable right now, not far from Jupiter. Along with the Jupiter moon eclipse at quadrature, this is the one most needing immediate attention. Standby for directions (also posted). Aurora. Optional. I saw it in Montana on a dinosaur dig about a decade ago. Very pretty if you get the chance. All right, that’s all for now. Gather your gear, print off some log sheets, and I’ll get crackin’ on those Jupiter moon timings and on finding Neptune. There are also some pretty end-of-summer objects we need to see before they plunge beneath the western horizon. Stay tuned. I think I have this correct…..
To use the Galileoscope, the smaller eyepiece would have to be used, the one that doubles as the Barlow lens. This would give 18x. This is the lens that simulates what Galileo used. This lens has a smaller field of view, and I for one, have trouble using it. The main lens gives 25x, so would be out of the allowed range. FWIW, Galileo’s gear was much, much worse! Confirmed. The 28mm (?) eyepiece would need to be used, giving 18x. I’ll have to try it again to see if I can get it to “work”. I think getting it in focus was much more difficult. I think telescope binocularsI will follow this shedule. I wanted a path for this from few months. This time I got the path and I can now fulfill my desires of astronomy, star gazing, etc. Actually i am a lover of star gazing. I use a pair of binoculars for this purpose and I will be following the schedule which i got in this blog. Thanx for the blog!